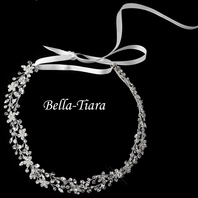 Sophia - COUTURE CRYSTAL Bridal Headband - SALE!! 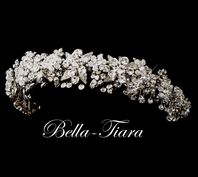 HOME / WEDDING HEADPIECES / Wedding Headbands / Sophia - COUTURE CRYSTAL Bridal Headband - SALE!! 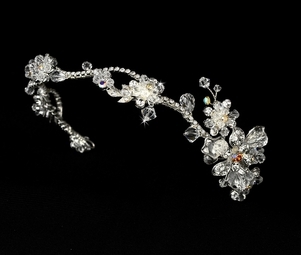 Description: stunning band featuring sparkling Swarovski crystal with a touch of light AB crystal creating a large floral vine with a side floral design along a unique curved band. 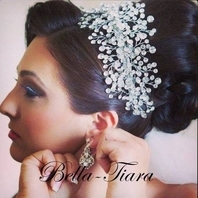 Gold or silver plated Headband measures 11 � inches along on a flexible band. 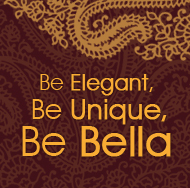 At its widest point, the floral design measures just under 2 inches wide. 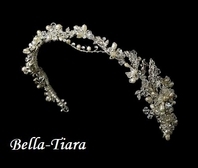 Pin loops are located at each end of the tiara for added comfort and security.